Honda Motorcycles And Scooters India (HMSI) is growing rapidly and aggressively in India with a strong upside sales chart. After the joint venture Hero Honda terminated in India, the Hero MotoCorp and HMSI have both become more aggressive in their products as well as marketing in India to grab a larger share of the pie. While the Hero MotoCorp with a long heritage of 25 years of trust and deep sales and service network still remains number one. However, HMSI, with its super refined and fuel efficient engine technology has some excellent products and also very popular automatic scooters like Honda Activa and Honda Aviator which make up for a large part of its sales have really helped put the HMSI on a fast track growth plan. As per its aggressive outlook for India, HMSI introduced about 7 new products in India during the Auto Expo 2012 which include entry level commuter Dream Yuga to high end cruiser and sports bikes. Although the battle for being number one is still a longer one for HMSI, yet the number 2 spot in India is not far from HMSI now. The competition between HMSI and Bajaj Auto India has got neck to neck with March 2012 sales of HMSI reaching close to 2,20,487 units including motorcycles and scooters including exports which are not a major part, this is a growth of 50% over the previous sales figure of 1,47,301 units sold in March 2011. This has increased HSMI’s share in Indian auto market from previous 12% (March 2011) to 17% at present. This is a big leap and the rate of growth of HMSI in India seems to be promising for past few months. 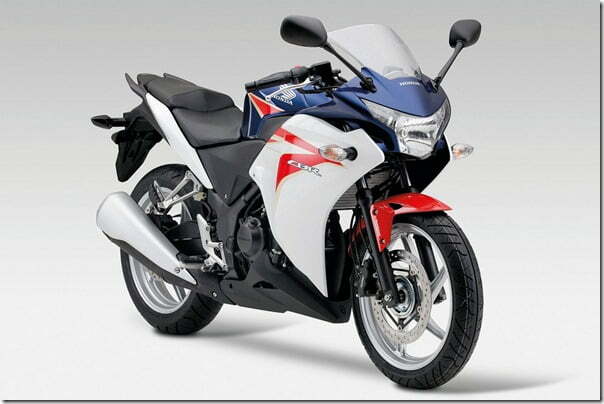 As per the report from HMSI India, HMSI is number 2 in the two-wheeler market in March 2012 in India. HMSI has achieved a total sales number of 21 Lakh units in financial year 2011-12 in India compared to 16.6 Lakhs in previous Financial year which is a growth of about 27% YoY which is as per the targets of HSMI. To improve the sales further in coming Financial Year 2012-13, HMSI has appointed Mr. Yadvinder S. Guleria as Vice president of Sales and Marketing starting from April 2, 2012. In some recent reports, it was also revealed that HMSI will increase its expenditure on Branding and Promotion in India in coming months. To support its growth volumes in the years to come, HSMI has got plans for its third plant which will come up in Karnataka and it will also get some tax benefits form the state govt. In February 2012, Honda’s second plant at Rajasthan also became operational which will also add to its existing capacity in India. We will keep you updates on the latest happenings, for latest news, sign up for our free email newsletter and like us on our official Facebook Page.